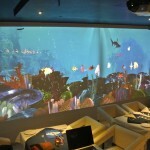 MotionMagix™ Interactive Wall installation plays up the Ocean theme wonderfully and creates an unforgettable environment for diners. Brief: The restaurant industry is one of extreme competition with the “Next Big Thing” always waiting in the wings to take over from the current favourite. Apart from the food and the location a major factor that drives success is the dining experience. Customers will become loyal patrons who return again and again only if their visit is unique, memorable and enjoyable and visitors to the Oceans Café Lounge in Nagpur certainly have that. 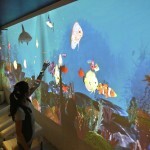 As the name suggests the dominant theme is the Ocean and a massive MotionMagixTM Interactive Wall plays a key role in giving an appropriate feel. 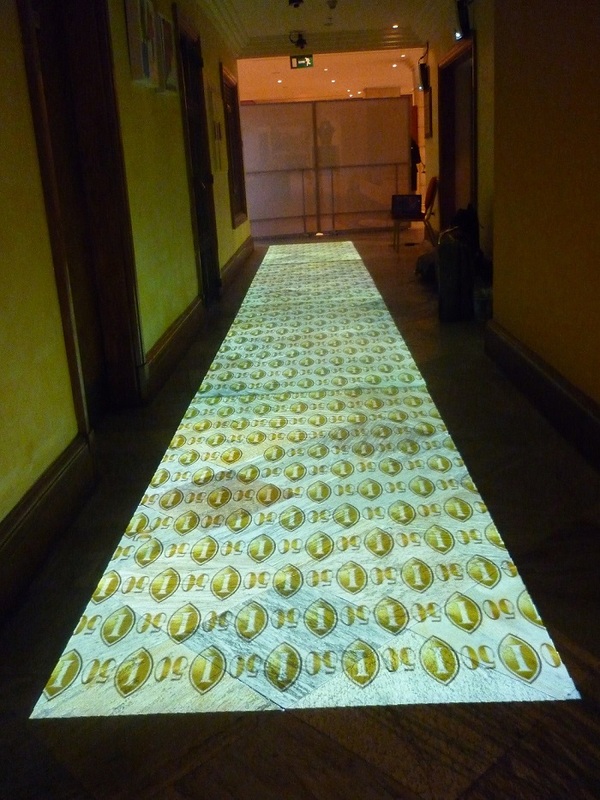 At 20 feet X 8 feet the installation is huge – as wide as an ocean you could say. 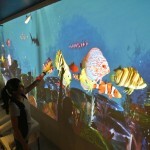 Enthralled visitors can interact with several exotic aquatic creatures in the fish tank. A seamlessly blended image from 2 projectors serves to make this an experience to remember and to talk about. 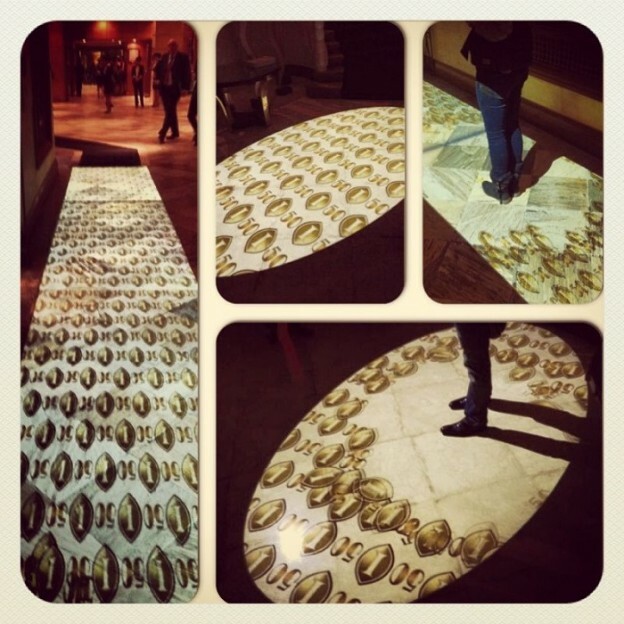 Impact: The installation plays up the Ocean theme wonderfully and creates an unforgettable environment for the diners. 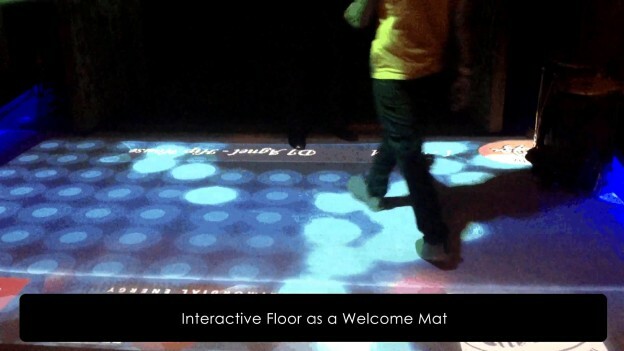 This entry was posted in Consumer and Retail, Entertainment, Food and Beverage, Hospitality, Hotels and Bars, Restaurants and tagged Food and Beverages, Hospitability, interactive wall, MotionMagix Interactive Wall, Oceans Café Lounge on August 2, 2013 by Touchmagix. It’s playtime at the party! An easy way to get kids engaged & physically active in a controlled environment is through interactive games. Brief: The challenge at any event that expects children among the attendees is how to keep them engaged. This is even more so when the number of kids is large. 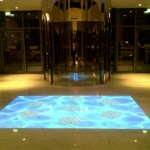 At a recent party at a leading hotel the hosts solved this problem by installing an Interactive Floor with games. The kids jumped, ran & kicked their way to a great time all the way through the event as these photos will show. Impact: An easy way to get the kids engaged & physically active in a controlled environment. 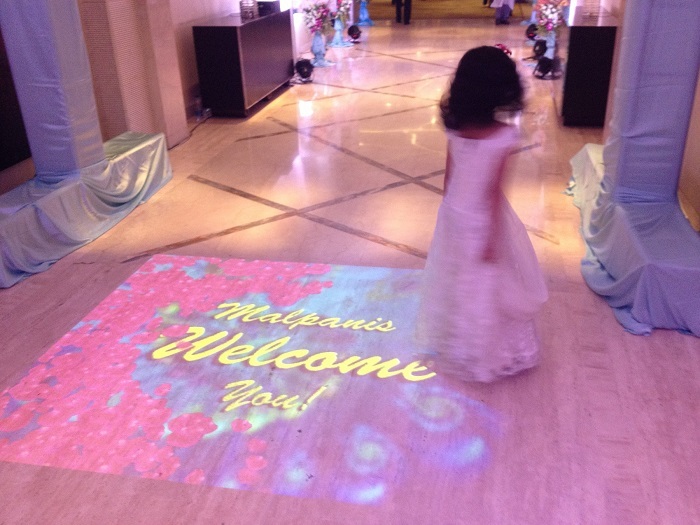 This entry was posted in Education and Kids, Entertainment, Event and Media, Hotels and Bars, Kids and tagged Event, interactive floor, Kids Games, motionmagix, MotionMagix Interactive Floor, touchmagix, WOW Effect on April 22, 2013 by Touchmagix. 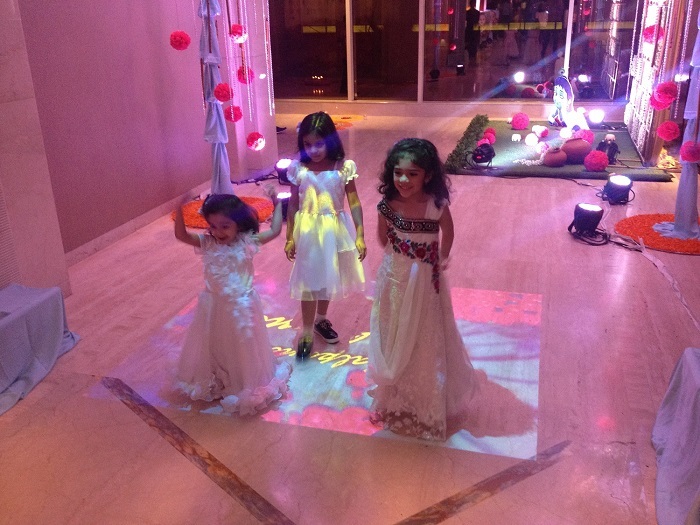 InterContinental hotel celebrated its 50th Anniversary with sheer awesomeness of MotionMagix™. Brief: The InterContinental celebrated the 50th Anniversary of it’s grand inauguration. The several events to commemorate it’s status as the first five start hotel in the kingdom & the largest such hotel there were planned to be equally grand with attendance by various dignitaries. 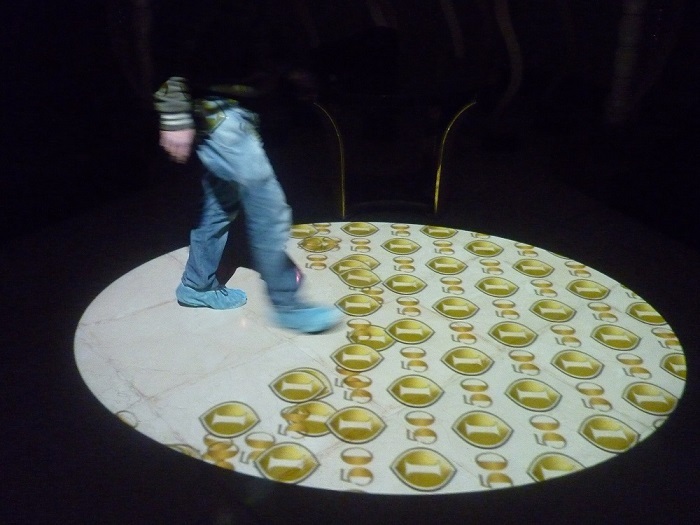 The events included a impressive 70 feet long interactive projections across 10 MotionMagix Interactive Floors. 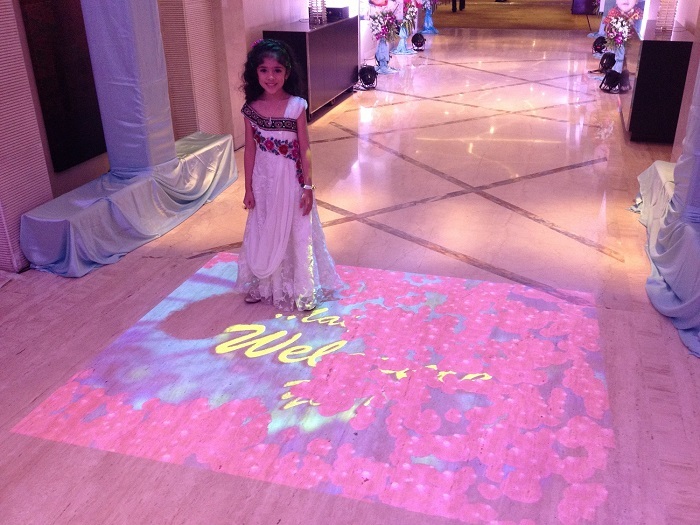 Guests interacted with projections of the iconic InterContinental logo & visuals of flowers. Impact: The sheer size of the Interactive Floors installed conveyed the significance & the grandeur of the of the occasion to guests. This entry was posted in Event, Event and Media, Hospitality, Hotels and Bars and tagged Event, Hospitality, Hotels, interactive floor, MotionMagix Interactive Floor, The InterContinental, touchmagix on March 18, 2013 by Touchmagix. How TouchMagix turned a DJ show into a visual extravanganza. Club Shockk Pune, organized a sound blasting evening with Pune’s top DJ’s in action – DJ Vaggy, DJ Agnel, DJ Sunny and Harneet, DJ Nakul. Also setting the dance floor on fire was DJ Stash with some energetic Hip Hop and Bhangra numbers. The show host MC Ketan Dossa ensured the audience remained captivated. 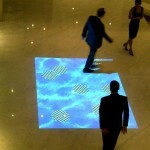 Using MotionMagix Interactive Floor at the entrance, the guests were in for an electric start to the evening. Behind the DJ Console was the MotionMagix Interactive Wall, showcasing some exciting visual effects triggered by the DJ’s hand gestures. 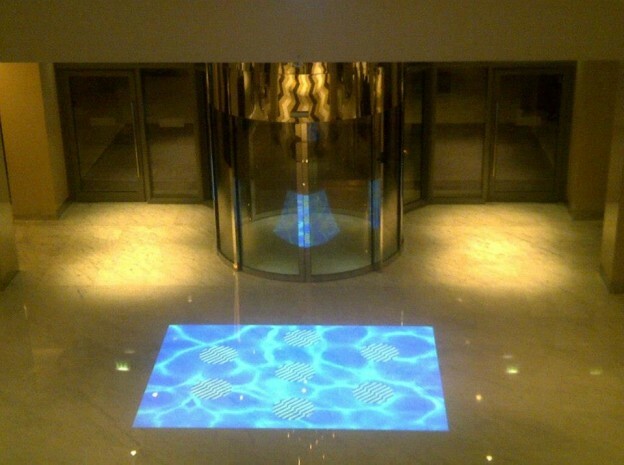 This entry was posted in Consumer and Retail, Entertainment, Event and Media, Hotels and Bars, Restaurants and tagged Bars & Lounges, Club Shockk, interactive floor, interactive wall, MagixTouch, motionmagix, MotionMagix Interactive Floor, MotionMagix Interactive Wall, Pune, touchmagix, WOW Effect on June 27, 2012 by Touchmagix. MagixFone™: A local social network was created displaying messages from the audience. 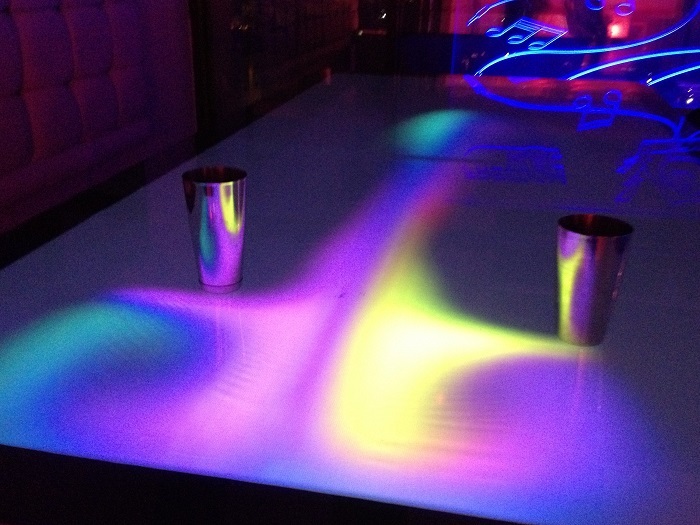 Brief: One lounge is one of the premium clubs in Pune with a great visitor list. They organize exclusive events at their facility which are followed by audiences looking for a variety in music, cuisine, ambience and event management. One such occasion was to be graced by World’s number 8 DJ popular amongst club goers. 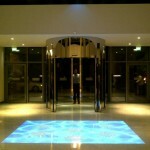 One Lounge expected us to build an interactive solution considering the young footfall targeted. Due to constraint of space, they wanted to keep the solution small yet noticeable. 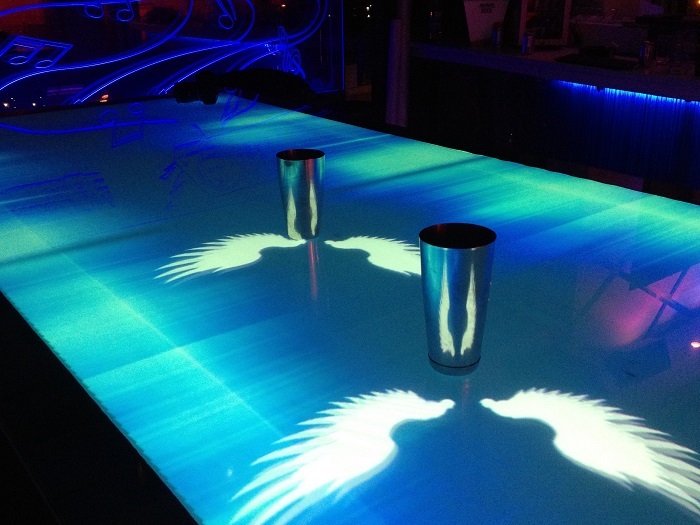 Using our MagixFone, we create a local social network displaying the One Lounge Branding. Users saw a number displayed on the screen, where they were to send SMS using their regular phone to be displayed. Within 1 hour of introduction of this new concept amongst party goers, we had displayed around 100+ messages. As the party went in a full swing, the MagixFone displayed messages in praise of the DJ, his music, the ambience and the event being managed. People posted their message in favor of the next song they would like to hear, working as a cue for the DJ to conclude the party, the party goers way. Impact: At the end of the party, the MagixFone had displayed 400+ messages creating a unique local social network, without violating sentiments or ethics. This entry was posted in Consumer and Retail, Event and Media, Hotels and Bars, Restaurants and tagged Clubs, Lounge, Lounges & Bars, MagixFone, One Lounge, SMS Quiz, SMS wall, Social connect, touchmagix on June 3, 2011 by Touchmagix. 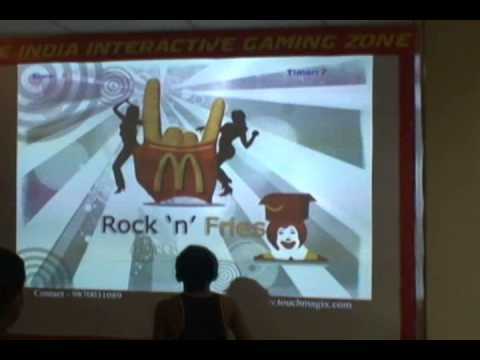 This entry was posted in Consumer and Retail, Education and Kids, Hospitality, Hotels and Bars, Kids, Restaurants and tagged Games, India, interactive wall, interactive wall projection system, Kids, Kids Games, McDonalds, MotionMagix Interactive Wall on January 15, 2010 by Touchmagix.